Homes in Niwot, Colorado enjoy rural mountain views. And, you’ll even find a few old farms. Homes in Niwot, Colorado enjoy rural mountain views. Platted in 1875, Niwot is a community of approximately 3,500 residents located between Longmont and Boulder. Named for Chief Niwot, the Arapaho chief who received the first gold party in Boulder Valley, the quaint town now draws those interested in a small town with a sophisticated air. Discover the several, acclaimed restaurants as well as shops such as Tim Wise’s antique store. Looking for a period fireplace mantel? If its not at Tim’s, it won’t be found. Above all, Niwot Market in Cottonwood Square is convenient for last minute items to complete your dinner. 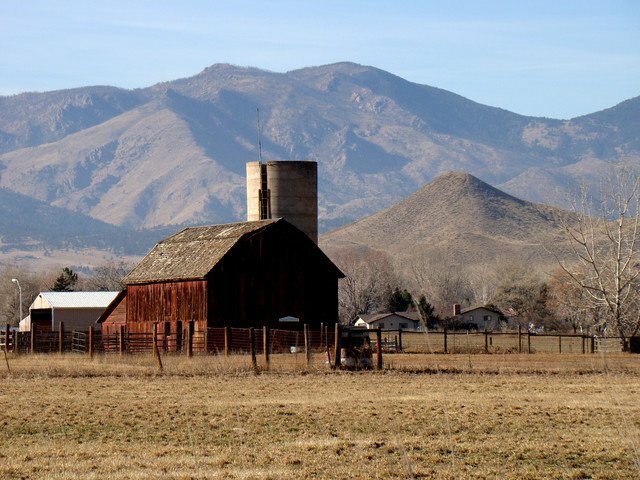 Ex-Californians and North easterners are attracted to Niwot. In addition, during summers, lobster festivals are held in the downtown park, along with weekly concerts, holiday festivals and parades. The new upscale, construction in Niwot starts around $900,000 to several million dollars. In the same vein, the views from the real estate communities of Somerset, Niwot Hills and Legend Ridge of the front range and Longs Peak are spectacular and have attracted many executives who desire the short and scenic drive to Interlocken. Most importantly, Niwot schools are in the St. Vrain School district and have consistently rated excellent. Light rail will run along the corridor from Longmont through Boulder to downtown Denver. It is anticipated to be completed in the next 12 years. Have a question about Niwot, Colorado real estate? Please use our easy to follow form below and we’ll get back to you quickly!